Scoria and pumice take vesiculation to the extreme. 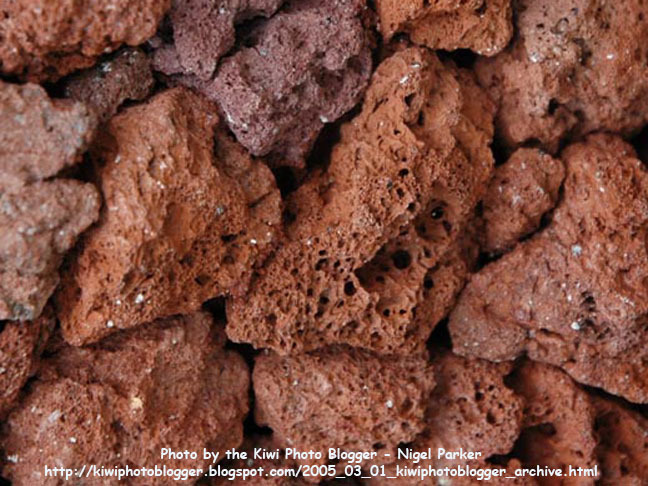 Scoria is an extremely vesicular basaltic lava with very small (< 1mm) vesicles. You can find scoria all over North America: The red variety of scoria (it also comes in black) is commonly used as landscaping pebbles at Taco Bell. Landscapers know this rock as lava rock. Pumice is a froth of felsic volcanic glass. It is rock foam with so much air in its structure that it often floats on water. 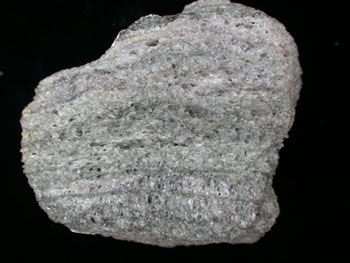 Close examination of fresh pumice shows its glassy nature. Older, weathered pumice looses its glassy appearance (volcanic glass rapidly breaks down when exposed to water), but it is still lightweight and feels abrasive against the skin. 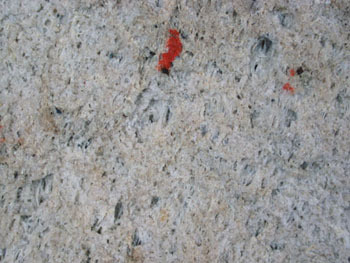 This is the red variety of scoria. The basaltic lava starts out black, but oxidation of iron during eruption and emplacement of the scoria turns it red. Note how tiny the bubbles are (click image to see more closely). 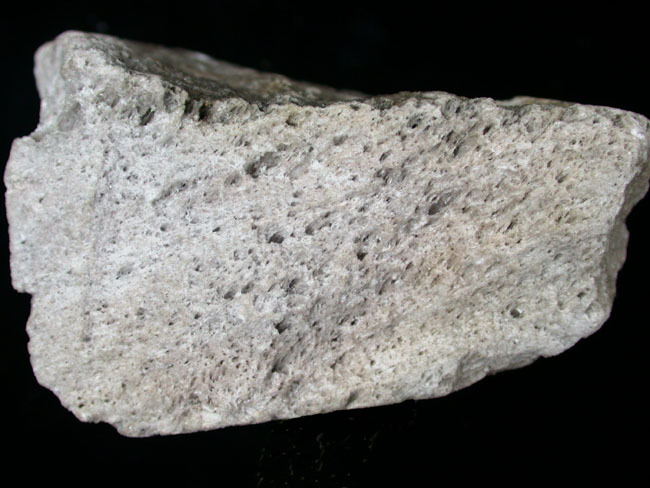 This is a fresh piece of pumice. Note the subtle layering. I wonder what during the extreme violence of an eruption would create and preserve such layering? It is worth clicking on the image for a close-up. 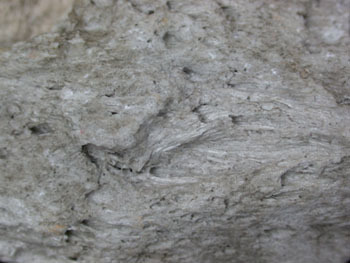 This is an extreme close-up of the sample above. If you click on the image to enlarge this picture, the glassy texture is clear. 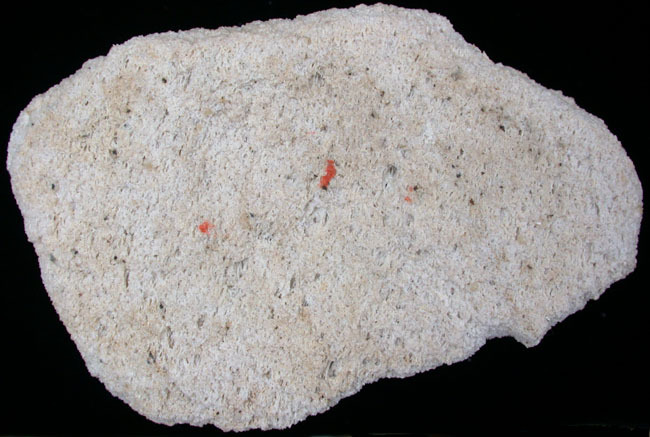 Pumice is the abrasive used in the toothpaste at the dentist's office. They brush your teeth with broken glass! This sample has experienced more weathering than the one above. It looks slightly duller, less glassy. Click to enlarge. 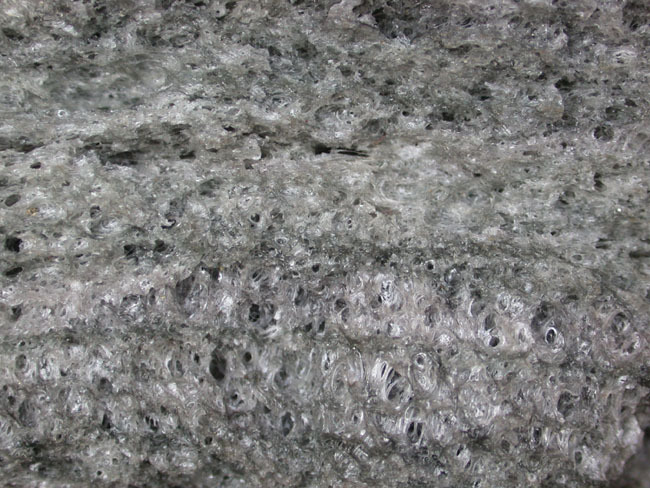 This close-up from the back-side of the above sample shows some elongated features common in some pumice. This pumice is the most weathered of the three. It looks almost chalky. The orange marks are from a marker pen. 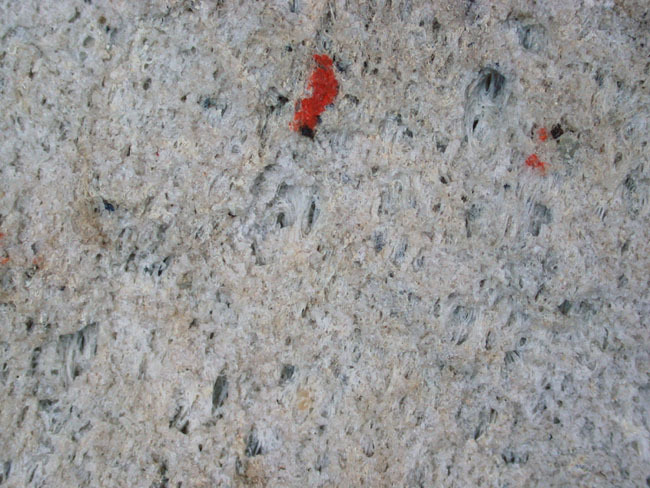 This close-up of the above sample shows that the sample is still full of holes and pore space. 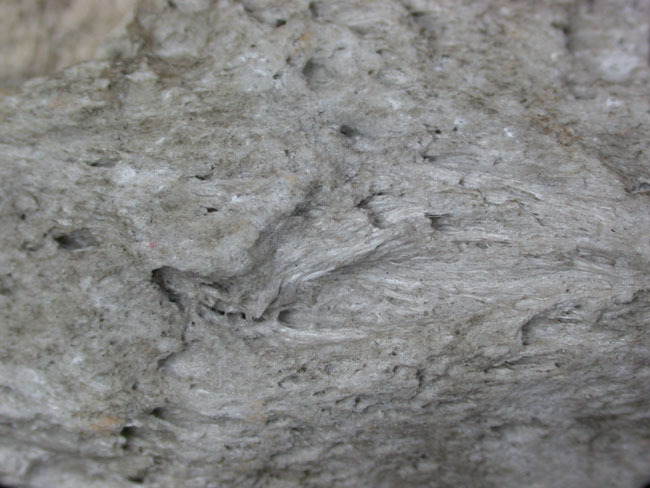 If you rub any pumice sample, small abrasive bits of rock (glassy debris) come off in your hands.